Kylie Jenkins enjoys a calm, sweet and uneventful life. She loves a good book and candy-making is her favorite hobby. But now that senior year is here, she wants something more out of her life: she wants to go to parties, start dating and overall have tons of fun. So, in order to add a little more courage to the equation, she decides to write a list of all the things she wants to do. But then that list falls at Leo’s feet. Leo has had a crush on Kylie since fifth grade. Does she know that? Of course not. But helping her with her list seems like the perfect excuse to spend a few hours with her. 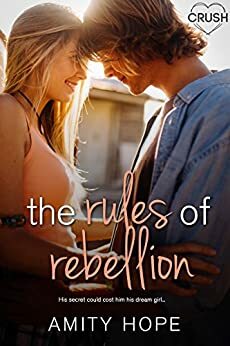 So this book features the drama that teens go through with their parents and their rules. And although this is an exciting subject, I feel like the book could have been better, especially when it comes to the characters. Like, I liked Kylie’s sister way better than Kylie and she was just a secondary character. Don’t get me wrong, Leo and Kylie were adorable but they were also way too plain. On the bright side, the storyline was actually really good and I guess pretty relatable to some people. We have two sides of the story: her parents who are way too strict and his parents who couldn’t care less about what he’s doing with his life. So there you have it, a friends to lovers that covers all the bases when it comes to a kid’s dating game! The writing style was also enjoyable: the story flows nicely and it’s not as predictable as you might think thanks to a major plot twist! So overall, I’m filled with contentment and equal dismay. As I told you, I was quite disappointed with the characters but this was my first book by Amity Hope so I’m not deciding on anything about her yet.